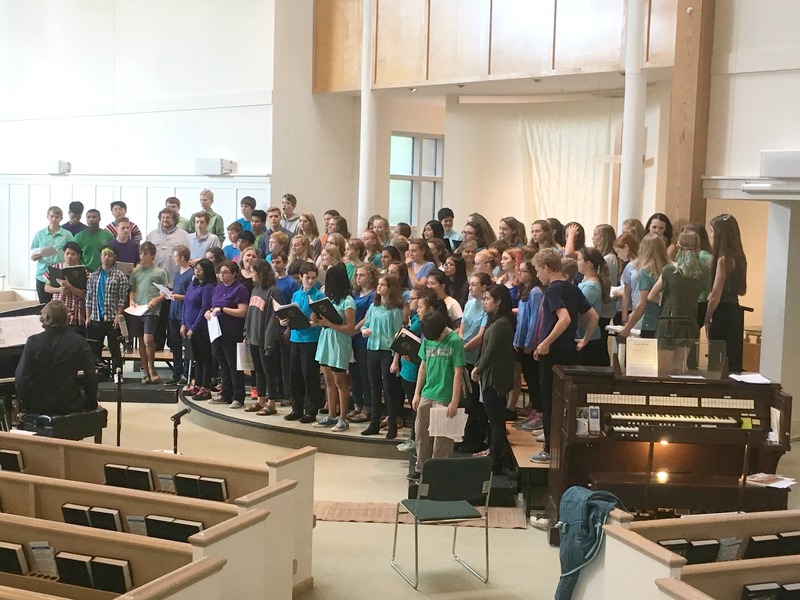 Congratulations to the UPC Youth Choir and Youth Choirs from United Church of Chapel Hill, University United Methodist Church, Binkley Baptist Church, and Holy Trinity Lutheran Church for sharing their time and talents to raise $3,100 for the Refugee Support Center in Carrboro at their benefit concert on May 7 at United Church of Chapel Hill. This was the third Community Youth Choir Benefit Concert. The first concert was in 2015 and was hosted by UPC. We hope to continue this tradition. The Refugee Support Center is a 501 (c)(3), volunteer-based organization established to serve and to promote the self-sufficiency of refugees who live or work in Orange County, NC​. Youth from each church and directors formed a planning team and together choose the nonprofit to support. In 2016, the youth selected Be Loud! The Sophie Foundation, and in 2015, TABLE was the beneficiary of the concert’s collection.